Steve was born in Brooklyn on May 5th 1959. In 1979 Steve played in a band called One Hand Clap and it was here that he hooked up with Ray Melnik. After successfully collaborating with Billy Idol, Steve went on to work with many artists on many different types of projects: Juno Reactor with Ben Watkins, Faudel, Gregg Bissonette, Chris Squire and Billy Sherwood. 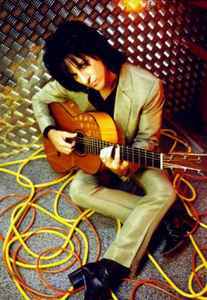 He released two emotive albums with Terry Bozzio and Tony Levin and wrote, recorded and performed with the Japanese artist Kyosuke Himuro. He wrote the Soundtrack for the award winning movie Top Gun for which he received a grammy. He worked also with Vas, Steve Lukather, Adam Bomb, Robert Palmer, Harold Faltermeyer, Joni Mitchell, The Thompson Twins, Ric Ocasek, Simon F, Peter Criss, Jerusalem Slim, McQueen Street, Michael Jackson and wrote, recorded and toured extensively with Vince Neil.